First Floor 2583 sq. ft. 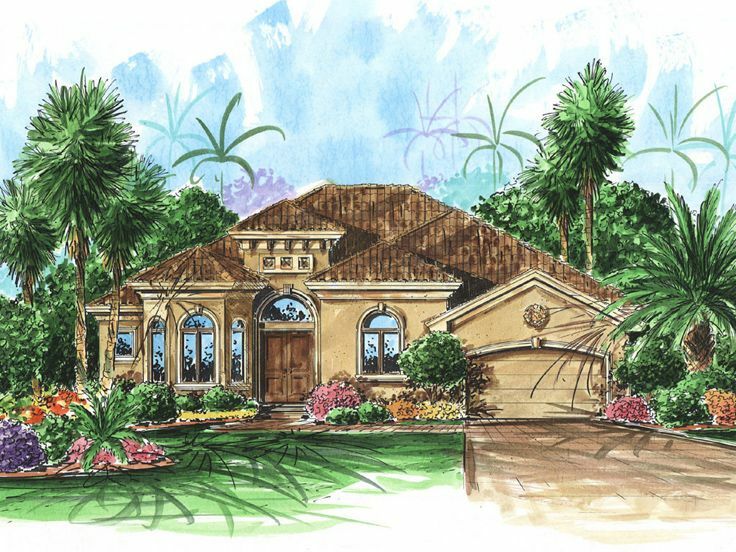 Interesting rooflines afford a custom look with this stylish single story Sunbelt home plan. With thoughtful design, it boasts open views to the outdoors from your master suite, living room, breakfast area, and family room making this house plan seem so much bigger than its 2500 sq. ft. of living space. In addition to your private study, there is a separate dining area adjacent to the living room creating a great entertainment space. The pool bath is accessible from both the lanai and inside making this home plan quite functional. Another full bath is located next to Bedroom 2 accommodating the children’s needs. 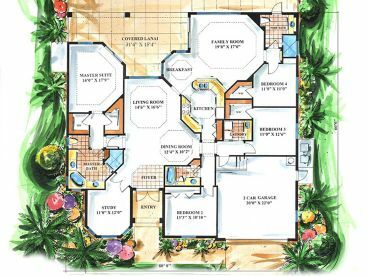 On the opposite side of this split bedroom floor plan, the master suite offers access to the lanai and the luxurious master bath has dual sinks, a huge corner shower and corner garden tub. 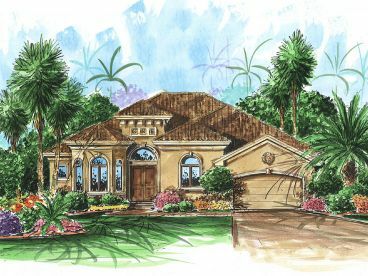 Find carefree, easy maintenance living in this delightful Mediterranean style house plan.